iPhone is disabled, connect to iTunes - what does it mean? Each owner of the iPhone, however, like the other smartphone, is trying to protect their personal data as much as possible. There are many ways to do this, one of which is setting a password on the lock screen. But sometimes it happens that the owner of the phone, who installed the combination of numbers, forgets it, and therefore begins to remember and enter all sorts of options. 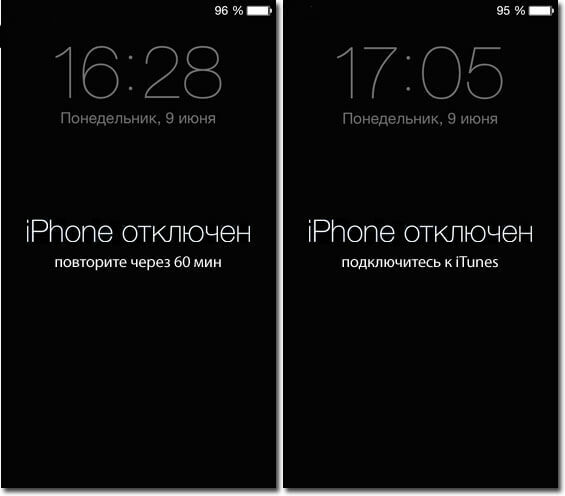 After six incorrect attempts, a notification is displayed on the screen of the mobile device with the text: “iPhone is disabled, repeat after 1 a minute”. The ninth incorrect password entry attempt causes the message to appear on the iPhone screen “IPhone is disabled, repeat in one hour. ” In addition, depending on the firmware of the phone, as well as its model, the waiting time may increase. There are also firmware that provide subscribers with a set number of attempts, using which the display shows “iPhone is disconnected, connect to iTunes”. If you met with a similar nuisance, you may have accidentally forgotten the combination yourself, or the children accidentally blocked the device, then you don’t need to rush to contact the service center, because today there are several solutions to the problem, two of which will be discussed further. In the case when the subscriber is expensive, all information that is in the blocked iPhone, and there are no backup copies, you can reset the password only with the help of manual selection. But the number of attempts with this option is limited, which reduces the chances of successful completion of the operation. In order for a person to remember and enter a combination that has flown out of memory, it is necessary to periodically reset the password input counter on the iPhone. A program named can help in zeroing iTunes. Moreover, for the method in question to function, it is required that the said program recognize the connected mobile device. 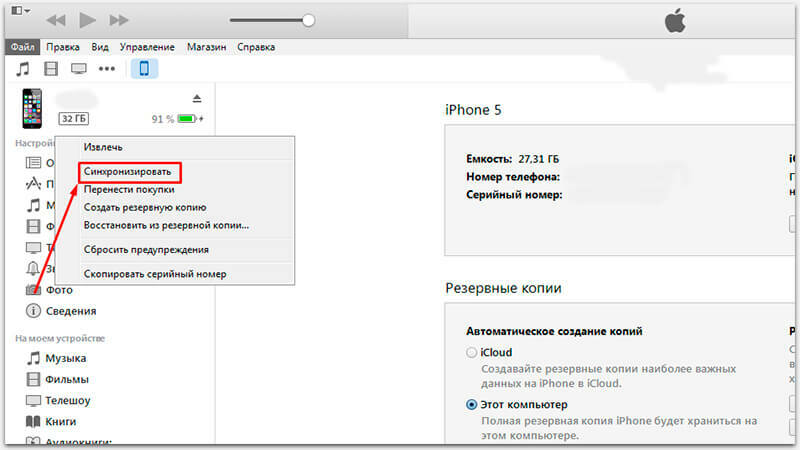 Therefore, if the phone does not appear in iTunes, no reset will occur. If the iPhone is connected to a PC with iTunes for the first time, the following message will appear on the screen: "Do you want to allow this computer to access information on this iPhone?" If access is denied, then the synchronization of the iPhone and management of it from this computer will not be available. After clicking on the "Continue" button, the program will require confirmation to access the iPhone directly to allow access. In the case when the above-mentioned messages appeared, but you are not able to click on the “Trust” button directly in the iPhone due to the encoded display, then the method of resetting the smartphone and the selection of the combination will not help you. 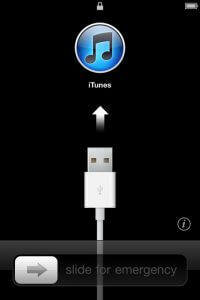 To use this method, you must connect the locked phone to a PC with iTunes, with which the device already had to function some time earlier. If there is no such computer, this option will not help you and you can safely move on to the second method. Launch iTunes on your PC, and for more comfort, turn on the sidebar that appears in the left pane of the program. Establish a connection with a mobile device, on the display of which the phrase “iPhone is disconnected, repeat in an hour”, is lit to the computer using a USB cable. There are cases when this is all that needs to be done for zeroing. Otherwise, namely when the notification continues to hang on the screen, it is necessary to carry out some more actions. Right-click on the mobile device in the left pane of the program, and then click on the "Synchronize" item. Immediately after the start of synchronization, it must be stopped by clicking the cross in the upper area of ​​the program. If after that an arrow popped up on the screen, you also need to click on it to stop the synchronization process with the phone. After performing such actions, the negative input counter is reset. From now on, in the locked device, you can continue to try to find the right combination of numbers. The counter reset procedure can be performed an unlimited number of times. This also applies to the case when the requirement to connect the device to iTunes has jumped out. The first method did not bring any positive results, and the smartphone remained blocked, demanding the correct code. Despite this, you confidently decided to reset the code by donating all the data and materials stored only on this device, since the backup was not created anywhere. You have a backup of all the information from the smartphone. They didn’t even try to guess the code, but immediately decided to reset it together with all the materials of the locked gadget. It is necessary to take into account the fact that when encrypting a backup, you will need to enter the encryption code during the subsequent data recovery. Dropping the security code on the lock display installed on the iPhone, is carried out by the recovery method. At this time, the mobile device is manually entered into the Recovery Mode or the DFU. Two of the considered methods are valid and help to solve the problem under consideration. Each of the methods has its advantages and disadvantages, but each of them practically with 100% guarantees a positive result of the operation. How exactly to use the option - to choose you already, but it is better to be careful and not fall into such unpleasant situations.